modern; farmhouses, trullos, holiday homes and apartments right across the country: from Tuscan farmhouses, to city apartments and apartment hotels in Rome and Milan; to villas on the Mediterranean coast. Search for self-catering holiday apartments and apartment hotels in Italian cities such as: Rome, Milan, Venice, Naples, Florence and Sorrento. Some of these are dedicated apartments and some are within hotel complexes with access to hotel facilities such as concierge, pools, restaurants, bars etc. Holiday rentals and villas in Italy, a destination packed with culture, heritage, fabulous cuisine, sandy coastlines and beautiful rural landscapes. Whether it's a luxury apartment in Venice, or a characterful stone holiday cottage in Umbria you're after. A handpicked collection of villas and holiday homes in Italy. From city centre breaks in Rome, Florence and Venice; to villas with pools in Tuscany, Umbria, the Amalfi Coast and Sicily. The 'Silver Collection' offers properties with higher standards of furnishing and sought after locations; and the 'Luxury' range is for those seeking an extra special holiday. Italian Breaks also have an exclusive high-end, luxury, off-line collection of really special properties. A vast collection of handpicked Italian villas, holiday homes, apartments and town houses across the country – with special villa collections for: the Amalfi Coast, Puglia, Sardinia, Sicily, Tuscany and Umbria. 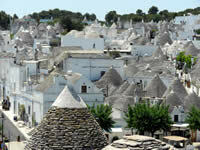 Italian holiday villas rentals in Sicily, Puglia and Tuscany; plus short break villas in Sicily. A collection of hand-picked villas and holiday homes selected for their style, individuality, comfort and diversity; many exclusively available through Massimo Villa Collection. Offering family friendly villas, historic accommodation, romantic holiday properties and beach front accommodation. The collection has been carefully put together by founder and owner, Massimo Provenza, based in Sicily and London. Looking for a luxury villa in Italy? A large Italian holiday home for a group/family gathering? Oliver's Travels have an excellent selection of handpicked luxury villas and holiday homes for discerning travellers; villas of all sizes, but with larger properties featuring well in particular. Making holiday rentals in Italy easy with a great selection of properties – from beach resorts in Sardinia to holiday homes in Tuscany. Properties are in the Italian regions of Pouilles, Tuscany, Sardinia, Veneto and Sicily as well as holiday apartments in Rome. Wide range of hand-picked villas with pools in Italy, all well-equipped, comfortably furnished and include a private pool. They also offer free child places, reps service and can provide car hire and flights. Destinations include Sardinia, Sicily, Tuscany and Umbria. 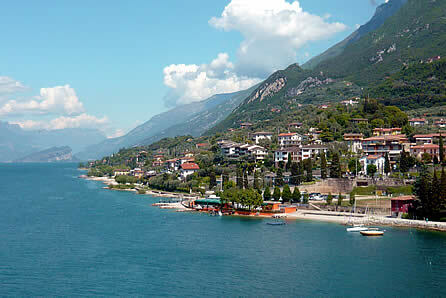 Bookings For You are specialist providers of holiday villas and apartments in Italy. They have over 250 villas and apartments to rent in the Italian Lakes, Umbria, Marche, Tuscany, Puglia, the Amalfi Coast and in central Florence and Rome. Puglia luxury villa near Naples; in a private location with olive and almond groves. The accommodation sleeps up to 8 in 4 large bedrooms. It's possible to indulge in massages, reiki, aromatherapy, yoga and cookery classes. Italian Lakes Villas: a special selection of luxury villas in the Italian Lakes area of northern Italy, including Lakes Como, Garda, Maggiore, Iseo and Orta. For pure relaxation try a villa at Lake Como, for sightseeing Lake Maggiore is a good option, or for watersports go for Lake Garda villas. This selection offers a choice from a range of villas and holiday homes in the Italian Lakes, many with their own pools and a range of additional facilities. These properties are suitable for groups from six up to sixteen guests. • In Italy the peak holiday season, and the highest rental rates, runs from Easter to September; and also includes the Christmas/New Year period (mid-December to early January). • The Italian weather and countryside are often at their best early season (May–June), while very high season (August) can be thundery and hot. • In the cities it's worth considering a 'Residence' or 'ApartHotel', this is an apartment within a hotel and benefiting from the hotel's facilities and service. Often these apartments are more central than a stand-alone apartment. While Residences are usually rented weekly, many also allow shorter lets, or even offer nightly rates. Booking.com» is one of just a few booking engines that include Residences or ApartHotels in cities across Italy. • Check bedroom details when comparing Italian villas and make sure the arrangements suit you; 'sleeps six' often means there are two bedrooms (each sleeping two) and that another two guests can use a sofa-bed in the lounge area –Â this might also be displayed as '4/6'. • Check your flight options before you book, some of the cheaper airlines only fly to certain smaller airports during peak season. • In areas with a lot of villas (in particular) watch out for 'bait and switch' type activity if you book through an agency (villas with private owners and dedicated websites are less likely to have this problem) – you may be offered a different holiday home to the one you thought you'd booked. This might be because online databases are slow to update. If it's important to you, double-check that the property you actually get given is the one you see and book online. • Big fridges are not the norm in many Italian self-catering villas; freshness is a big consideration and the locals tend to shop as things are needed each day. • You might come across properties with a 'corner kitchen' (angolo cucina) which is a small compact kitchen area usually part of the dining or sitting room –Â this might be fine for a couple, or if you're not planning on doing much cooking, but could be limiting for a family or group. The travel-quest holiday villas in Italy section is for listing Italian villa holidays and self-catering villas, apartments and holiday homes.